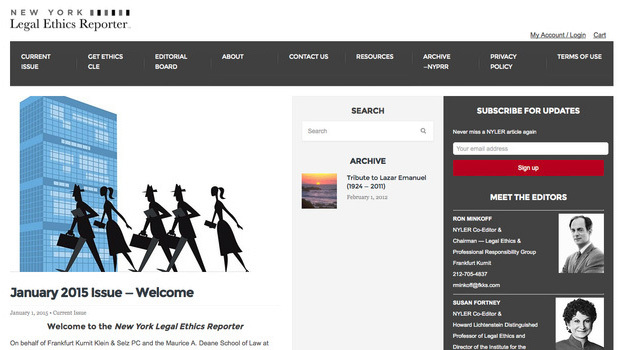 Hofstra Law and Frankfurt Kurnit Klein & Selz, PC have launched the New York Legal Ethics Reporter (NYLER), an online publication dedicated to providing timely and interesting articles on legal ethics (similar to the former New York Professional Responsibility Report). The inaugural issue was published in January 2015. 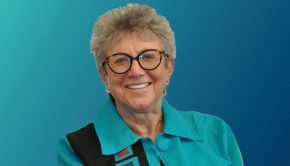 The publication is co-edited by Ron Minkoff, the chairman of Frankfurt Kurnit’s Legal Ethics & Professional Responsibility Group, and Susan Fortney, the Howard Lichtenstein Distinguished Professor of Legal Ethics and director of the Institute for the Study of Legal Ethics at Hofstra Law. NYLER’s monthly articles will appear on the website — at no cost — for anyone who would like to read them. Articles can also be received in an email newsletter by those who subscribe for updates. Also, the New York State Continuing Legal Education Board has accredited NYLER to provide 0.5 CLE credits in Ethics and Professionalism to experienced attorneys who score 80 percent or higher on a monthly self-assessment examination (based on the articles published in NYLER). The processing fee for each 0.5 credit is $25. 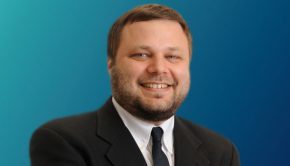 NYLER aspires to carry on the spirit and tradition of New York Professional Responsibility Report (NYPPR), which was published monthly by Lazar Emanuel for more than a decade. Thanks to the Emanuel family, the NYLER website includes the past issues of NYPPR. 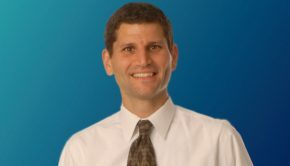 Professor Emeritus Roy D. Simon, who was a major contributor to NYPPR, is a member of the NYLER editorial board and wrote the article “New York Professional Responsibility Developments Since November 2011: Part 1” for the inaugural issue. An article about NYLER’s launch appeared in the New York Law Journal on Jan. 22, 2015.